The least expensive mail we have ever offered! From the Celts of 300 B.C. to 18th century Europe, mail was one of the most prized items a warrior could own. Indeed, it was celebrated in poetry and the sagas, being referred to as the War Shirt of Odin, the Byrnie, hard and hand linked, the Net of Battle, and Foe of Swords. 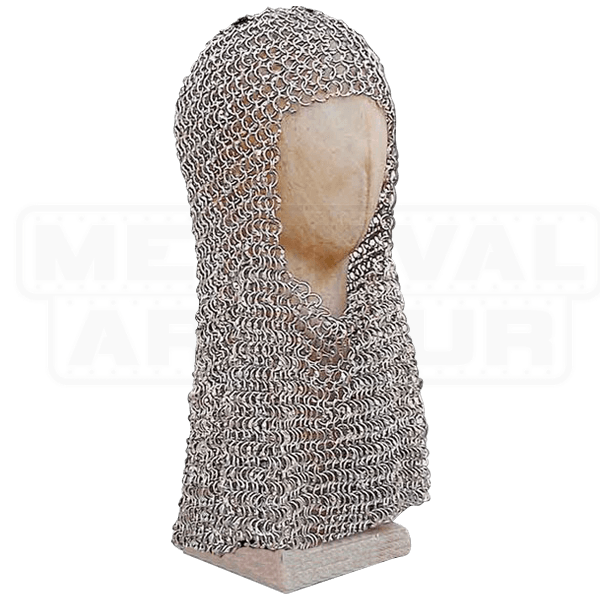 This coif features intense craftsmanship combining links in the International pattern - 4 links going through a 5th - common to all European mail. Mail Coif can be worn with or without a helmet. It is made in 16 gauge steel with 3/8 inch rings. Please, note that your coif will come in a thick coat of oil as a protectant, but even this is no guarantee that some surface rust may occur. You will find cleaning instructions included. This coif weights 5 lbs. 8 oz. 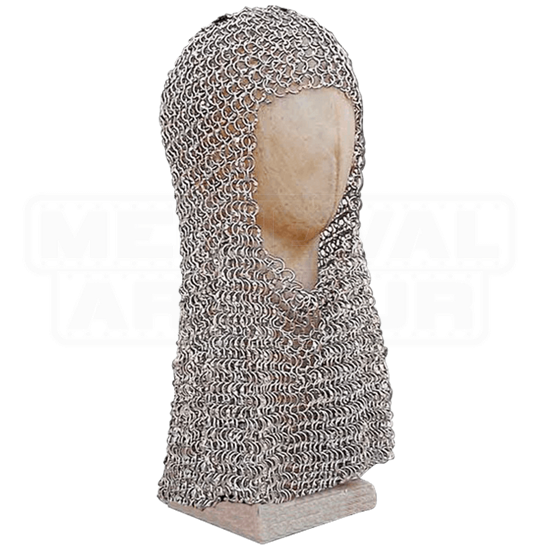 This Butted Steel Mail Coif matches our Butted Steel Mail Shirt, which is Item ED9887.